If you are someone that is considering delving into the world of cryptocurrencies and particularly Bitcoin, then you are going to need to get yourself something called a wallet. Now as cryptocurrencies, and especially Bitcoin, are not tangible, physical coins, it can be somewhat challenging to keep them in a traditional wallet- and this is where a crypto wallet comes in. 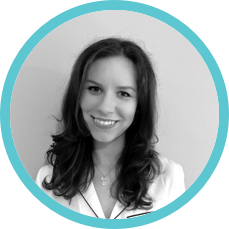 I sense your confusion from here, mainly if you are a bit new to the world of digital currencies, and for that reason, we have decided to break it down for you. Start at the beginning and give you the full lowdown of the lingo, terminology, and necessary technical know – how you need to get to grips with to know which are the best Bitcoin hardware wallets on the market- and most importantly, which will be best for you. What Is Bitcoin and Why Can’t I keep It In a Regular Wallet? So, for those of you among us who have been living under a rock for the last few years and are not quite sure what the whole cryptocurrency thing is about – this section is for you. 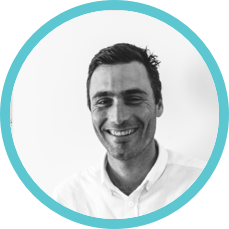 For those that are au fait with the new, fast-paced and super exciting world of digital money – then you should skip to the next paragraph. In short, a cryptocurrency is a digital, non-tangible asset that exists on the internet, on a device, and can be transferred through digital means. Bitcoin is the biggest and the most successful cryptocurrency in the world, and its popularity is unlikely ever to diminish. Its success is so high that it is presenting itself as a viable alternative to traditional currencies, known as fiat currencies. Bitcoin is a worldwide digital currency and digital payment system. Using a shared, online, digital ledger called the blockchain, Bitcoin is a decentralised currency and is not controlled by any government or regulating authority. Invented by an unknown person or group of individuals known as Satoshi Nakamoto, it was released as open source software in 2009. Since then its value has shot up from 1BTC= $1 to 1BTC= over $7000. Because Bitcoin is entirely online in every way, you need to keep it in something called a digital wallet, which brings us nicely on to the next section. There are lots of different types of cryptocurrency wallets on the market that you can store your digital currencies in. Which one you opt for, and why depends a lot on you, what currency you are using, why you are using cryptocurrencies, and how many cryptocurrencies you will be storing in the wallet. You can pick from online wallets, desktop wallets, mobile wallets, paper wallets, or hardware wallets. Online wallets are the most convenient and often the easiest to use but are by far the least secure. If you are only using small amounts of currency to make transactions online, then this is the solution for you. Mobile wallets suit similar purposes but are more suited to those that are on the go 24-7. Paper wallets are for those that will not be making many transactions but instead, would rather just keep the cryptocurrency in one place. But when it comes to the top tier of security for your Bitcoins, then a hardware wallet is by far the best option. A hardware wallet is as the name suggests – similar to a pen drive or USB the hardware wallet is not connected to the internet in any way. Instead, you connect it to your device and download or upload currency to it as and when needed. Hardware wallets are also the safest option for cryptocurrency wallets. You can even use an old laptop that is not, and has never been connected to the internet, as this will act similarly. Obviously, carrying around an old laptop is a little cumbersome, so many opt to use small pen drive type devices instead. The reason that hardware wallets have such a strong reputation for top-notch security is because they are not connected to the internet. When a device is not connected to the online world, you are protecting it from any threats that the internet can bring. These include things like malware, keyloggers, hackers, and other kinds of viruses. All of these threats can severely compromise your internet security and therefore, if you are storing your currency on a device that is connected to the internet, you run the risk of losing your money as well- and once it is gone, you cannot get it back. A hardware wallet is left unplugged and unconnected to the internet when you are not using it, meaning it remains safe. While it isn’t the most convenient of methods, mainly if you are affecting a lot of online transactions, if you are someone that is storing a large number of Bitcoins, your safety and security must come first. Other drawbacks to the hardware wallet system include the fact that if you lose or break the hardware wallet, or it gets stolen, all of your money goes with it. Once it is gone and unless you have backed it up somewhere, there is absolutely no way of retrieving it. So, if you are sure that the hardware wallet will be kept somewhere secure and you are prepared to take the time to back it up, then this is the best option for you. As mentioned, a hardware wallet can be compared to a USB stick to store access to the Bitcoin. Hardware wallets that are currently on the market consist of not only the wallet, but also the hi-tech tools used to protect and secure your Bitcoins when you take the storage online. How advanced these tools are, varies between brands and it is often the case that the safest wallets are the most expensive, in other words, you get what you pay for! The general procedure for using a hardware wallet is setting up a password and/or pin when you first configure the wallet. Upon configuration, something known as a configuration seed is generated. A seed is a series of words and needs to be written down and stored somewhere safe as these are used to restore the wallet when the device is lost or broken. Once you send the Bitcoin to your public address, you must unplug the device and store it until it is needed. This way your currency remains safe and protected at all times. There are lots of options on the market when it comes to storing your Bitcoin in a hardware wallet – of course not all of these are created equal and depending on your needs, and budget, some may suit better than others. We have picked out three options that are also some of the most trusted, reputable, and popular options on the market. The Ledger Nano S is by far one of the most well-known and popular offerings available. It is so popular that if you want to purchase one of its cold wallets, you need to move quickly as they tend to sell out as soon as they are restocked. The Ledger Nano S is a small and compact offering, just the right size for a key ring. It supports a range of popular coins as well, not only Bitcoin, which means that if you fancy dabbling with some other currencies, you don’t need to get a different storage solution. With Fido U2F authentication already built in, it means you can access any U2F compatible sites such as Google, using the same backup seed as your cryptocurrency – this makes life a lot easier! 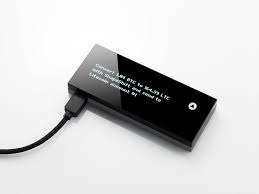 It is also widely considered as one of the most secure and reliable hardware wallets on the market, a factor that most definitely adds to its popularity. 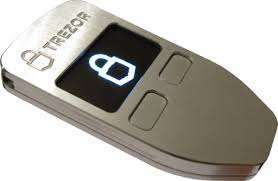 TREZOR is another incredibly popular offering – it serves up some hot competition for the Ledger hardware wallet. Lauded on message boards and forums for its easy to use interface, its advanced security features, a wide range of currency support and entry-level price points, it is an excellent option for those looking for a comprehensive all-rounder option. Fitting neatly in the palm of your hand, it rates highly for security and privacy, but it does lose a few points for the lack of 2-factor authentication as well as the lack of standalone application to go with browser extensions. 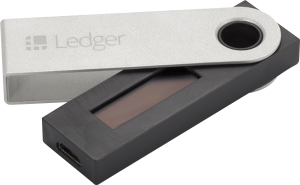 This said, it is just as good as the Ledger Nano, and if you had to pick between the two, the most natural thing to do would be to flip a coin! KeepKey is another excellent option for those that are looking for a super popular and very well-respected hardware wallet solution for their Bitcoin storage needs. A great low- cost solution, while it isn’t the fanciest of wallets, it certainly does its job well. It offers an OLED display and USB connection along with supporting BTC, ETH, LTC and more. Security wise, it benefits from a private key, PIN, and a recovery sentence which offers a three-level layer of protection for your privacy. The design and usability are totally top-notch, but it does lack a web wallet which means you have to install a software like Electrum or MultiBit to make use of its applications. The fact that it is a bit bigger than its competitors does make it a little less portable, meaning you may need to keep it in a bag, or a laptop bag instead of using it as a keyring or holding it in your pocket. If the above solutions don’t tickle your fancy, then there are another few good choices on the market. Some of the ones that we would recommend, include CoolWallet, and BitLox. While not as well-known as the three above, they are reputable service providers and offer Bitcoin users a great alternative, mainly if you cannot get your hands on one of the more popular hardware wallets as they tend to sell out quickly. CoolWallet is an open source, cold storage solution that has been on the market since 2015. Very secure, it can send Bitcoin using near-field communication, and it is small enough to fit in your wallet like you would store a credit card. The main drawback relates to the automatic fee which could prove problematic, should a free market develop in the future. 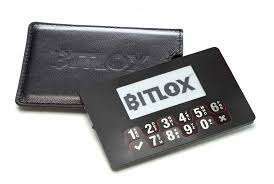 BitLox on the other hand also has excellent privacy features and can connect to your mobile device via Bluetooth. Its software is not open source, and it can create up to hundreds of wallets – each with excellent security. Downsides include the price – as the product is considered top of the line, it is somewhat expensive so unless you are a serious Bitcoin connoisseur, then this might not be for you. 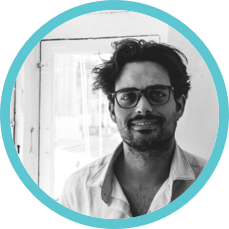 The other downside is that the user interface could be a little more intuitive, and the software is not open source – this, however, can be a pro or a con, depending on how you look at it! In conclusion, if you are serious about Bitcoin, then you need to get yourself a Bitcoin wallet. With multiple options on the market, it is imperative that you analyse your needs carefully and pick a solution that is going to suit you when it comes to security, price, portability and other functions. Some of the best Bitcoin hardware wallets will give you the ownership of a private key and security that your coins probably won’t get lost. So get out there, do your research and make a carefully measured decision – and most of all, once you pick a wallet, don’t forget to check out our guide on how to create a cryptocurrency wallet.